Recently, my daughter and I took a weekend trip to the Catskill region of upstate New York. We went fly fishing on the Delaware River. One evening, we stopped by the river that runs in front of the Catskill Fly Fishing Museum. 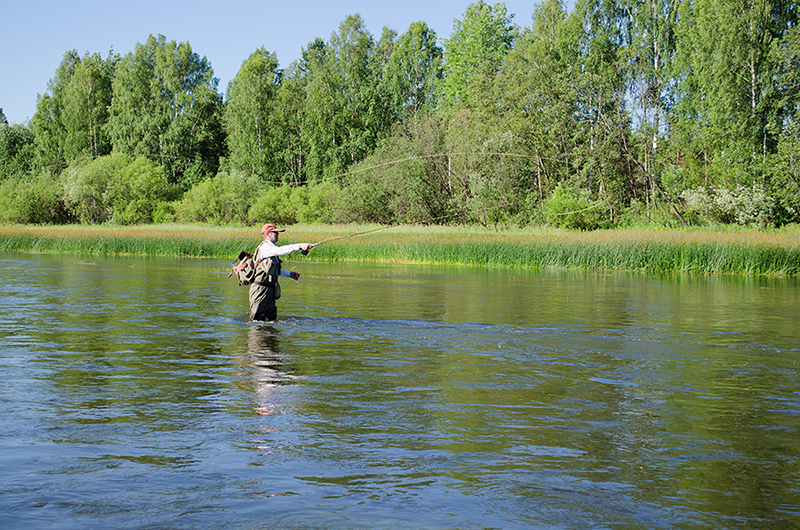 There was a lone fisherman wading in the river casting to a large trout near the far bank. We could see the fish from where we stood, a nice big one at about 22 or so inches, but it had no interest in the fly being presented by the angler. As we walked over, the frustrated fisherman told us he had tried at least five of the most popular patterns for this time of year and these conditions – he was following the standard approach and yet no luck in catching the large trout. He was giving up. You probably know the feeling the angler shared with us. You know that you did everything correctly, but you still don’t get the business. Let’s take your PowerPoint “pitchbook” for example. You did what everyone else does – put together a 40 plus page presentation that speaks glowingly of your Firm’s capabilities and prowess in your field. You brag about your Firm – it has been around for 100 years, many offices and employees, some awards, a few important known clients, blah blah… I’m betting, having seen a quite few of these in my career, that your presentation looks remarkably like those produced by your competition. Guess what? Your potential client gets inundated with these presentations – they all start to look the same. After a while, they won’t be able to differentiate anyone based on what you’ve put in front of them. Shorten your pitchbook – it doesn’t need to be long. They will lose attention. Take time to practice. Use an appendix to include back up material. You don’t need to make it part of the presentation. There’s nothing worse than trying to decipher a way-too-busy slide loaded with small print and numbers. Make it about them. That’s what they are ultimately interested in. Otherwise, your Firm looks like the many others they are interviewing. As we all know, it’s not always about the money. Demonstrate your understanding of their situation and issues. If you don’t understand this; don’t do the meeting. Think about relevant points through the eyes of the prospect. View the world through their lens. Be conversational and tell a story. Build rapport and make a connection. Being just like everyone else makes you average. Be different and stand out. Think about the trout. It probably sits by the river bank seeing fishermen throw the same flies to it repeatedly. Each hopeful angler thinks they have done everything right, but the reality is that they each are doing something similar to the one before them. The wily trout has gotten to be wily because it has seen a lot of presentations. The flies are in competition with plentiful natural food sources. Perhaps the fisherman can think like the trout – be more creative and be more successful.